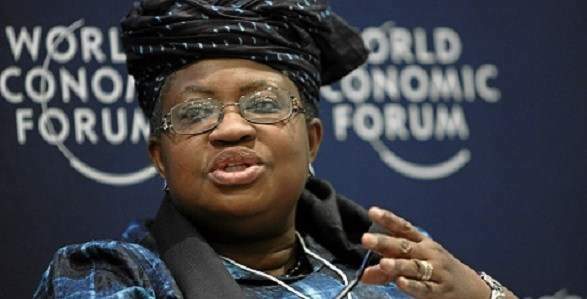 Nigeria's former Finance Minister and ex Vice President of the World Bank, Ngozi Okonjo-Iweala, says she's ready to assume the number one position of the institution. Mr. Jim Yong Kim, who was re-appointed World Bank President for a five-year term on July 1, 2017, has announced that he will be stepping down from the role on February 1, 2019, and Okonjo-Iweala says she's ready to succeed him. "If the right person were to nominate, and if the circumstances are right and people feel I can do the job, yes", Okonjo-Iweala told CNN's Richard Quest on the sidelines of the World Economic Forum in Davos, Switzerland, when the question regarding her readiness for the job was posed. "I know that, because I contested the last time in 2012, and many people were asking that question. It is a shareholder's decision and they have to decide how they want it. Someone has to nominate," she said. When Quest asked if she has declared her candidacy, Okonjo-Iweala said; "No, I have not declared my candidacy. You asked a hypothetical question and I answered it fairly. I'm very happy right now, and I just want you to know that I'm enjoying life for a change for a portfolio of what I like."